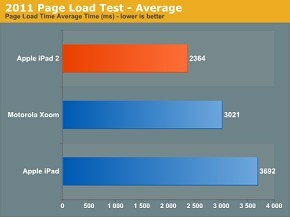 The iPad 2 news show no signs of slowing down on the third day of its launch (except perhaps its availability). 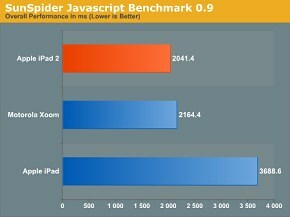 The first proper benchmarks just came in and confirmed that the A5 chip is a pretty powerful beast indeed. 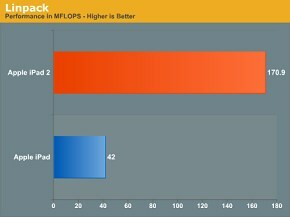 Anandtech has just put the Apple custom-designed chip through its paces and found it to be substantially more capable than its A4 predecessor and the Tegra 2 SoC inside the Motorola Xoom. 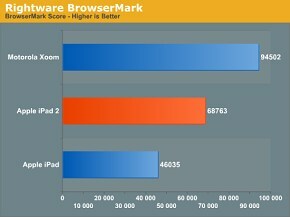 Of course, the lower resolution also helps the iPad 2 against the Motorola slate, as well as its simpler browser-rendering engine. 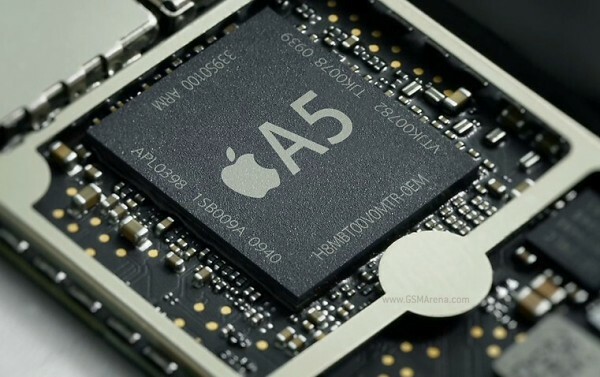 The detailed specs of the A5 were also revealed – the chip consists of a dual-core Cortex-A9 CPU, clocked at 900 MHz and a dual-core PowerVR SGX543MP2 GPU. 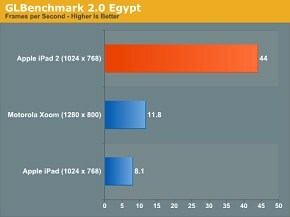 You can find even more benchmark results by following the source link below.